Howling at the moon? Are you a werewolf? 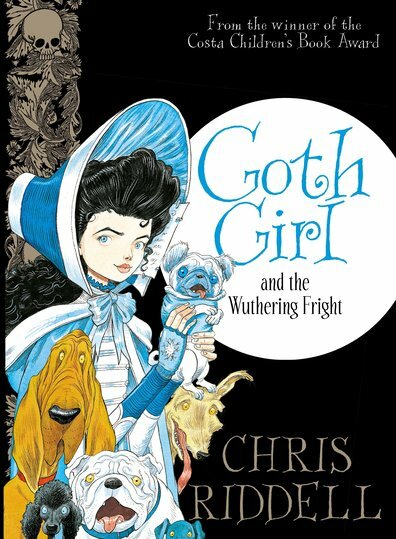 Or just thrilled Chris Riddell is the new Children’s Laureate? With his stunning drawings and spooky sense of humour, he’s going to be fang-tastic! In this Gothic delight, crowds are flocking to Ghastly-Gorm Hall for Lord Goth’s Literary Dog Show. But under the glow of the moon, a creepy mystery is unfolding. Midnight howling, eerie footprints, terrifying clues: does one of the dogs have a spooky secret? Like the other Goth Girl books, this is a work of extreme beauty, with silver foil skulls on the cover and incredibly ornate drawings right through. it is a amazing book.like all of Chris riddle books.This is one of my favaret books!